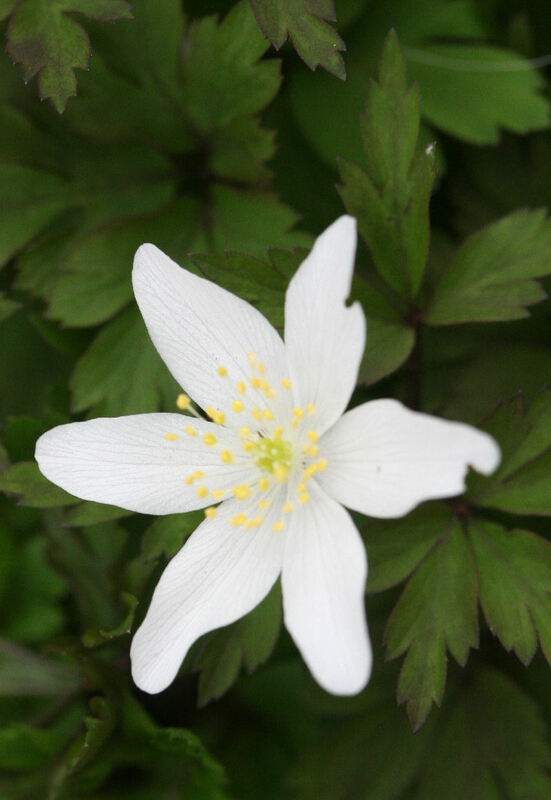 Anemone nemorosa. This delicate large white flower held up to about 4 inches above a a mass of pretty cut leaves is one of the delights of early spring woods in Britain, before the Bluebells take over. We supply fresh tubers with root mass in their favourite leaf-mould soil.